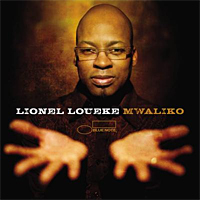 Lionel Loueke's 4th release, Mwaliko (Blue Note Records) features Esperanza Spalding on two compositions, "Twins" and "Flying". Mwaliko is set for release in February. Esperanza is currently in the studio putting the finishing touches on her anticipated release Chamber Music Society due in August.